This week, the media drove our conversation about a new film toward the negativity rather than the goodness. Recognizing the sensitive nature of the content, Dove also hopes we can elevate the story of the redemptive power of God’s scandalous love. And let that power unite us. For a quarter of a century, the Dove Foundation and dove.org have labored to provide insightful reviews and helpful information about movies to a tribe of families and individuals who value a conservative, “cleaner” form of entertainment. In the world of creative storytelling, each movie is made to tell a story for a certain kind of audience, ranging across a broad spectrum of tastes and tolerances. Our mission is to celebrate and encourage great stories of aspiration and goodness. Because we know that Dove’s many thousands of faithful families have differing sensitivities, in addition to giving select films our seal of approval, we also provide a rating grid detailing how we see each movie handles these factors of violence, language, sexuality, substance use, and religion. We do this so consumers can see our recommendations and make their own decisions about whether to watch a movie, based on their own family’s values, standards and guidelines. In every case, we strive to express an informed point of view based on solid Christian values. As we head into 2018, Dove remains committed to its calling to engage more individuals in a thoughtful conversation about entertainment, always from a Christ-centered point of view. We recognizing the power of film to engage the most important questions of the human journey. We believe God has called us to engage in a dialogue of how the hope of Christ can interact with our human journey. Dr. 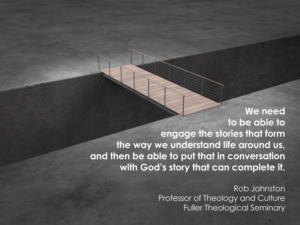 Rob Johnston, Professor of Theology and Culture at Fuller Theological Seminary, said, “We need to be able to engage the stories that form the way we understand life around us, and then be able to put that in conversation with God’s story that can complete it. It’s what Paul did in Acts 17.” In recent days we’ve thought a lot about Dr. Johnston’s comments, but even more about the story in Acts 17. The apostle Paul had congratulated his Greek audience because his hearers clearly sensed the existence of a genuine god—even if they could do no better than to erect a statue to “the unknown god.” Paul captured their attention by connecting with their deep spiritual longing, their intellectual curiosity and their hope for something better. At Dove, we share both the apostle’s passion to introduce others to Jesus as well as the strategy he employed, namely, to connect with thoughtful men and women on their own cultural turf. Recent events, however, have forcefully reminded us that such a strategy entails serious risk. A current movie about one man’s intense struggle with his difficult past, his relationship with his earthly father and with God, has unexpectedly put Dove in the news. Since the filmmaker wanted to tell the story for an audience that could identify with a gritty protagonist, he chose to highlight some gritty character traits authentic to the man’s life and acquaintances. Anything else, he believed, would compromise the story (titled Generational Sins). Part of that “grit” included some profanity. When Dove decided to approve this movie despite such language, we did so because we believed strongly in the faith-based story and in the filmmaker’s creative decision to focus on an audience more than likely on the margins of the church. Never do we want to miss an opportunity to draw individuals into a significant conversation about God—and in Dove’s judgment, Generational Sins does exactly that. Dove realizes that by awarding this movie an 18+ Seal of Approval, we have upset many members of our audience. While we don’t like upsetting anyone, we recognize that our decision to employ a strategy designed to engage men and women in significant conversations about God—conversations on their own cultural turf—carries significant risk. But we believe such a risk is worth taking, if by doing so we can encourage viewers to consider, perhaps for the first time, God’s limitless love for them. At the same time, Dove will never waver in its commitment to providing thoughtful, painstaking, faith-based ratings for young people and families. Our criteria have not and will not change. To co-opt a tagline from another current film, we want to use our universal human brokenness as a bridge, not a barrier. We accept that our decision in this case has disturbed, alarmed, and even outraged some who have come to trust us to help them navigate the often roiling waters of culture. We recognize and honor the varying sensitivities embodied by the members of our audience regarding various flashpoint issues in our culture. We understand that some issue considered deeply disturbing to one individual or group will hardly get noticed by a different individual or group, whether that issue involves sexuality, violence, language or murderous clowns. We will always—always—work hard to help our friends make the best decision for them. Dove also would like to note that the filmmaker for Generational Sins calls his work a new, developing genre he labels “Hard Faith.” Dove hopes that he really can engage viewers in his struggle and in his redemptive story. Still, anyone outraged by profanity clearly would not enjoy this movie, any more than someone easily heartbroken by violence would spend money to wallow in the graphic war scenes of Hacksaw Ridge. As responsible consumers of media, each of us has an obligation to let our own values determine which movies we allow into our own hearts and minds.